Sarno, Italija, 19. oktober, 2016 – Dobrodošli na dan za kvalifikacije in prve dirke v tednu! 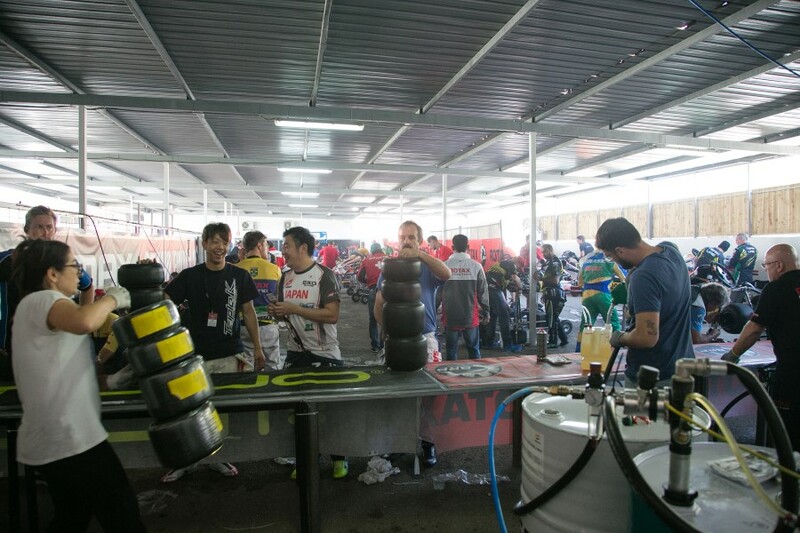 Last night, the clouds opened up, with rain pouring onto the track, partially flooding the driver paddock as well. Consequently, the fifth and final non-qualifying practice for drivers proved to be a little tricky, as track conditions were slick, but not wet enough for rain tires. 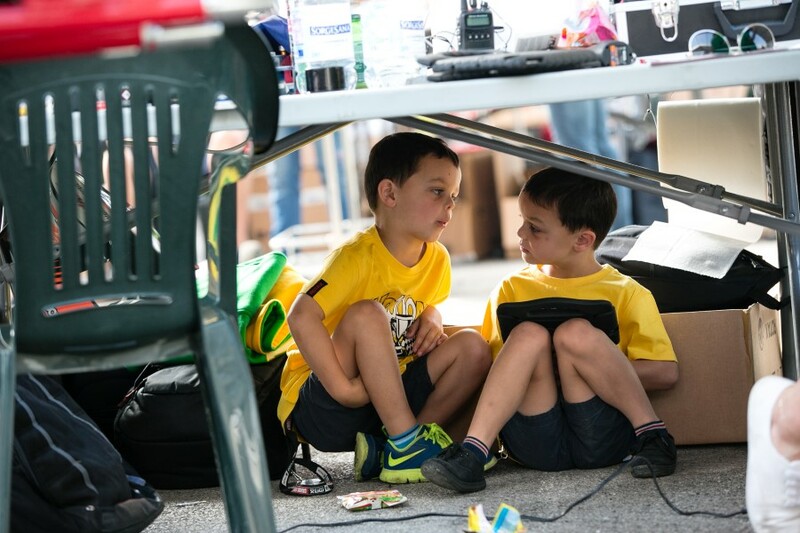 The track was still wet as the youngest drivers headed out on the track. 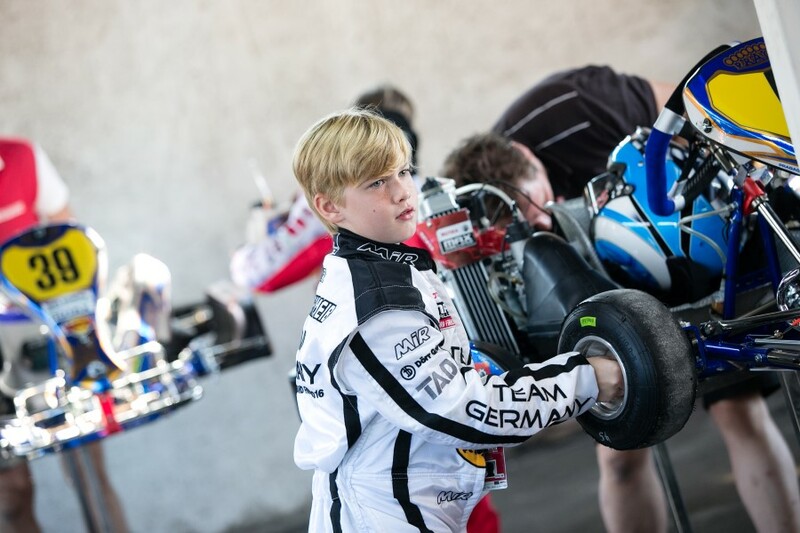 Although slippery on dry tires, it was the Frenchman Elliott Vayron who posted the fastest lap time in his IPKarting (Praga) chassis with a 1:29.446 – almost one second faster than second place Kris Haanen of the Netherlands. 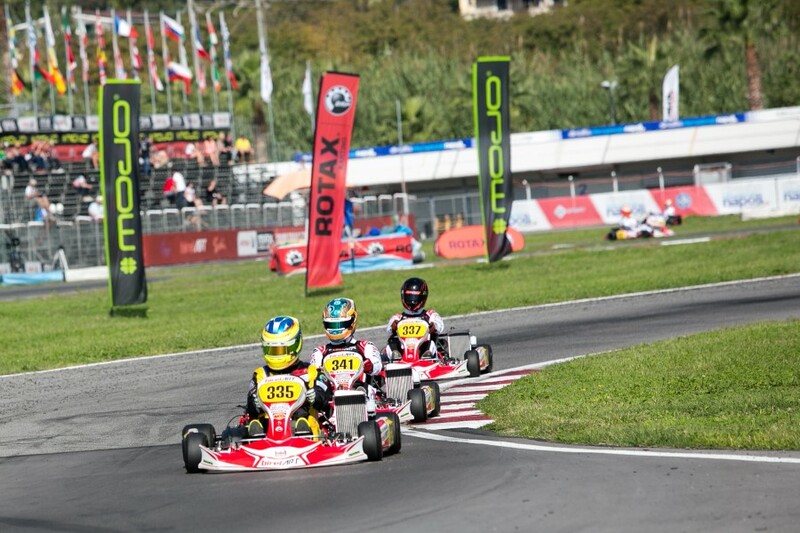 The youngest drivers of the field battled it out for the pole position. However, and not surprisingly, two Dutchmen conquered the top spots – with Robert De Haan being named the official pole sitter of the 2016 Grand Finals, posting a 1:11.488 and Kris Haanen jumped to P2, posting a 1:11.514. To provide a quick overview of how close the field truly is – the top 14 drivers all ran lap times within a second of each other. This is a great predictor that the races will be very exciting to watch. The Spaniard Santiago Vallve and the American James Egozi had a fantastic battle in the first heat race. The two youngsters battled it out throughout the 6-lap heat race. 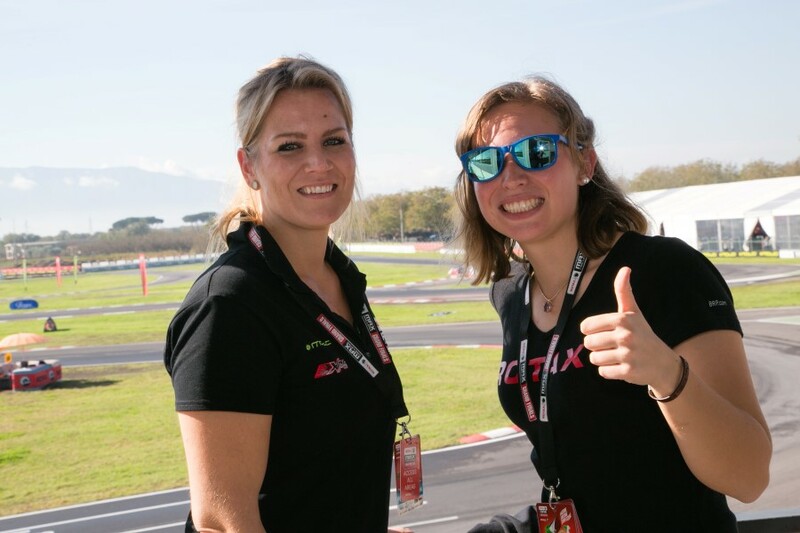 It was ultimately Vallve that finished in P1 – just a little over 7-hundredths of a second in front of Egozi. This tight racing truly proves that it doesn’t come down to engines or equipment, but ultimately it comes down to talent, finesse and the ability to spot and actually take passing opportunities within a fraction of a second. The Dutchman Mike Van Vugt posted the fastest lap time with a 1:22.711, with a half-second jump over Victor Bernier of France. It was the Mexican Mari Boya who demonstrated that he was inch perfect, jumping to the top of the time sheets, with a 1:07.934. In fact, second placed Jonny Edgar of England was more than 2-tenths of a second off of Mari’s best time. 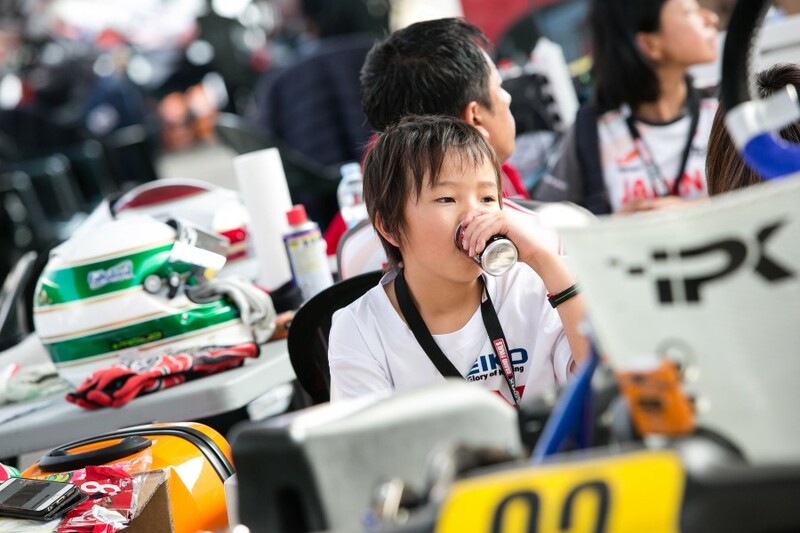 The Mini MAX class’s racing proved hard and skillful, as well. It was the Frenchman Fabrice Bernier who ultimately finished in P1, gaining more than a 3-tenths of a second gap in front of Arias Deukmedjian, representing the USA. Pole sitter, Boya, finished in third position. For the last practice of the day, Frenchman Yann Bouvier posted the fastest lap time with a 1:18.865, roughly four tenths of a second ahead of Dylan Tavella from the USA. Although the sun came out, the track remained wet, and the juniors continued tackling the challenge of driving on slick track conditions. The track heated up with action as the Junior field was let on the track to test their limits. 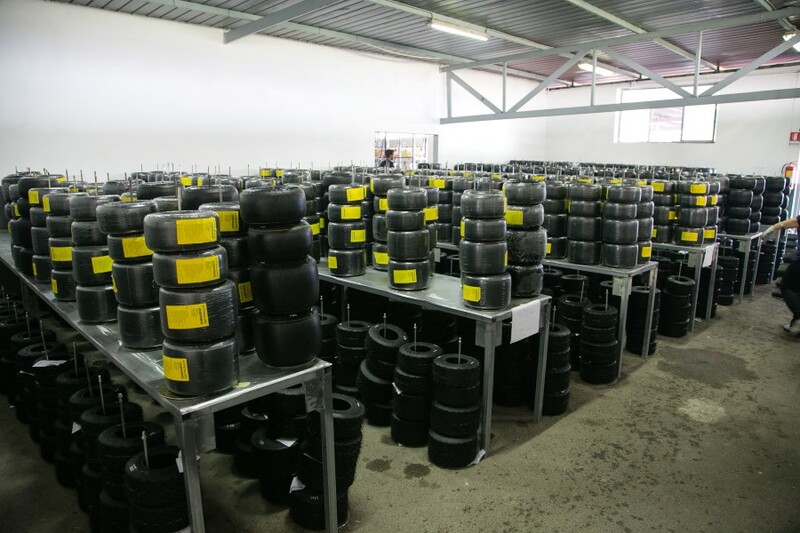 The competition proved to be extremely intensive, as the difference between the pole position time and the second place starting position was a mere 4-thousandths of a second difference. It was the Canadian Ryan Macdermid who posted the ultimate time in the Junior MAX field, running a 1:03.010, ahead of the Indonesian Perdana Minang by a fraction of a second. This time, two Canadians conquered the top spots, with the pole sitter Ryan Macdermid finishing in first place – but only after a very rough battle with the top 7 drivers of the group until roughly the last lap. After entering turn 2, Macdermid and his fellow teammate, Samuel Lupien, pulled out a gap of more than 2.5 seconds over the third placed Axel Charpentier of England. Ultimately, Lupien finished a little over 3-tenths behind Macdermid. Minang, the off-pole sitter, finished in sixth. The start of the C and D group Heat 1 race proved to be much cleaner than the previous Junior Heat 1 race. Initially, Hibiki Taira of Japan lead the pack with roughly a second lead. However, it was Johnathan Hoggard of England who slowly reeled in Taira, laying down consistent lap times, lap after lap, and ultimately passed Taira for the win. Hoggard finished roughly 1-tenth of a second before Taira. The track slowly began drying up at this point, however, still slippery. It was Felix Warge of Belgium who posted the fastest lap time, with a 1:13.012, closely two tenths in front of the German, Christopher Dreyspring. The 125 MAX Qualifying saw intensive action and two new names jump to the top of the time sheet. It was Wiktor Welezinski of Poland who claimed the pole position by running a 1:02.277, just a little more than one-hundredth of a second in front of the Italian native, Filippo Laghi. Another fantastic race! What an incredible sight to see the top 10 drivers racing nose to tail, battling for the lead, passing each other every lap, at every plausible opportunity. Mario Novak of Austria finished in first place, almost 4-tenths of a second in front of Robin Sario of Finland. Welezinski, the pole sitter, finished in 4th. This was an interesting race to watch. The first start proved to be a mis-start. 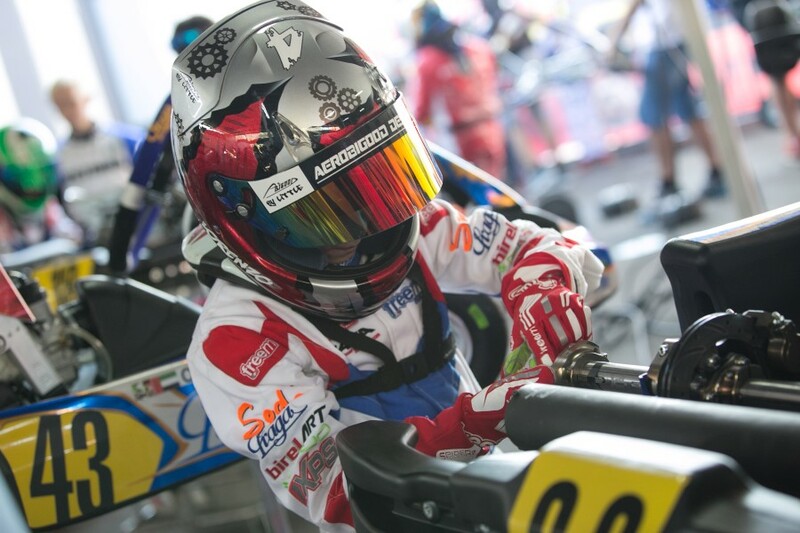 The second try the pole sitter for this heat race – Nikolas Szabo of Slovakia – slowed the field down so much that many karts stalled on the track. 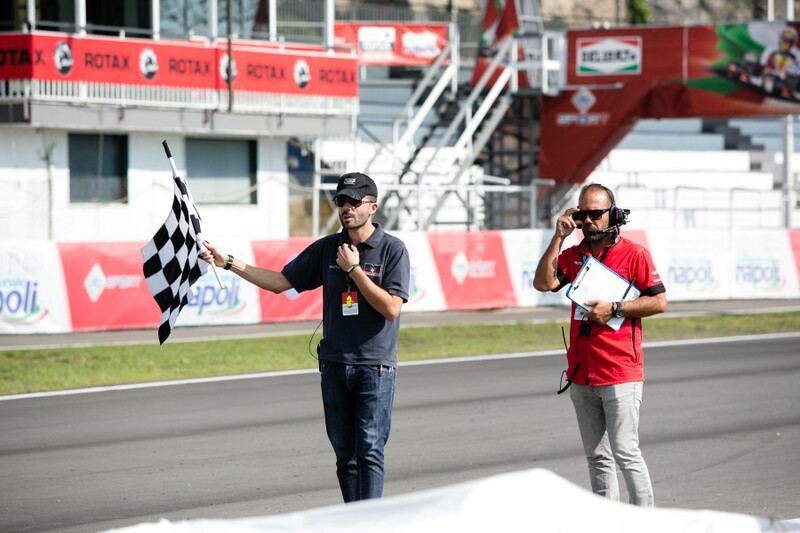 This caused race director Nigel Edwards to call the start, and asked all drivers to stop at the start / finish straight, specifically asking Szabo and the off-pole sitter Adrien Renaudin of France to have a short talk with him regarding proper race start procedures. The third race start proved to be a success, as the field cleanly got away. The top 5 drivers easily broke free from the pack, pulling out roughly a two second gap to fifth position. It was ultimately Christopher Dreyspring who passed Szabo for first place, finishing just 7-hundredths of a second in front of Szabo. By this time, one could notice a significant difference time wise between the first group (those drivers whose kart numbers are odd) versus the second group (those drivers whose kart numbers are even). The first group essentially helped dry the track for the second group, which was anywhere between three to four seconds faster than the previous. For the final DD2 Masters class, it was the Brazilian Fernando Guzzi who posted the fastest lap time with a 1:05.548, followed very closely by fellow teammate Diego Lozov, who ran a 1:05.566. It was Nicholas Verheul driving for the Republic of South Africa who jumped and stayed at the top of the time sheet, posting a 1:00.635, just 5-hundredths faster than the Brazilian driver, Fernando Guzzi. The DD2 Masters field proved extremely competitive and will surely present a fantastic race, as the top 48 drivers all posted lap times within one second of the pole sitter’s lap time. The first of two heat 1 races for the DD2 Masters class saw one restart, however, the field got away clean the second time around. It was the off-pole sitter Guzzi who made a break, and came away with first place, 1.6 seconds ahead of Dutchman Dennis Kroes. The pole sitter, Verheul rounded out the top 5. The second heat 1 race for the DD2 Masters class saw a clean start, with American Luis Schiavo, who was the pole sitter for this race, pull steadily away from the field. With two laps to go, Schiavo started lapping competitors in the field. However, the excitement did not end there; second placed Lee Mitchener of Australia started to reel in Schiavo, posting the fastest lap time on the last lap. Nevertheless, Mitchener’s pace did not have enough to pass Schiavo for the win. Ultimately, it was Schiavo winning, with a 3-tenth gap over Mitchener. The Spaniard Javier Campo rounded out the top 3. By the time the DD2 class headed out, the track was dry. It was the Hungarian Ferenc Kancsar who jumped to the top of the time sheets, posting a 1:01.774. The DD2 Practice No. 5 marked the last and final non-qualifying practice for all groups. Next up, was the first of six qualifying heat races – starting with the Micro MAX class. The DD2 class once again proved to be extremely competitive, as the years of the past have shown. 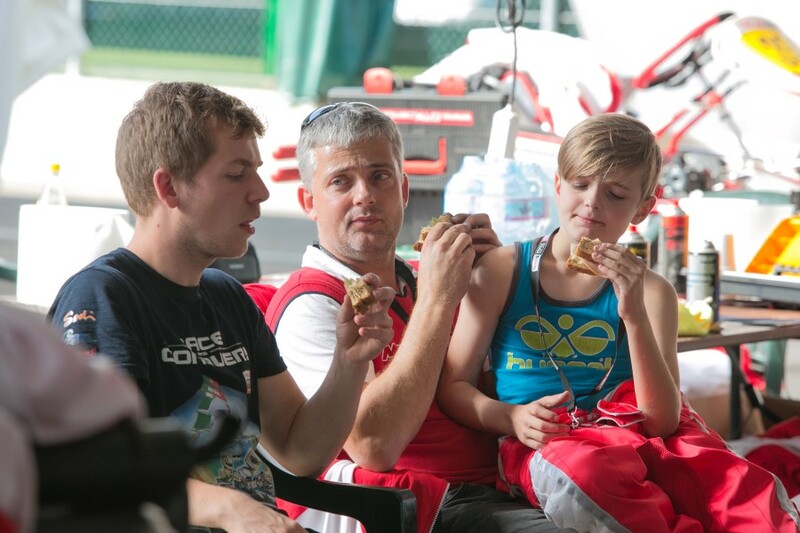 It was the Polish driver Kacper Bielecki who jumped to the top of the time sheets, running a 1:00.113. The Austrian Constantin Schoell placed in second, with almost a 2-tenth gap behind Bielecki. The top 54 competitors all posted lap times within one second of each other. 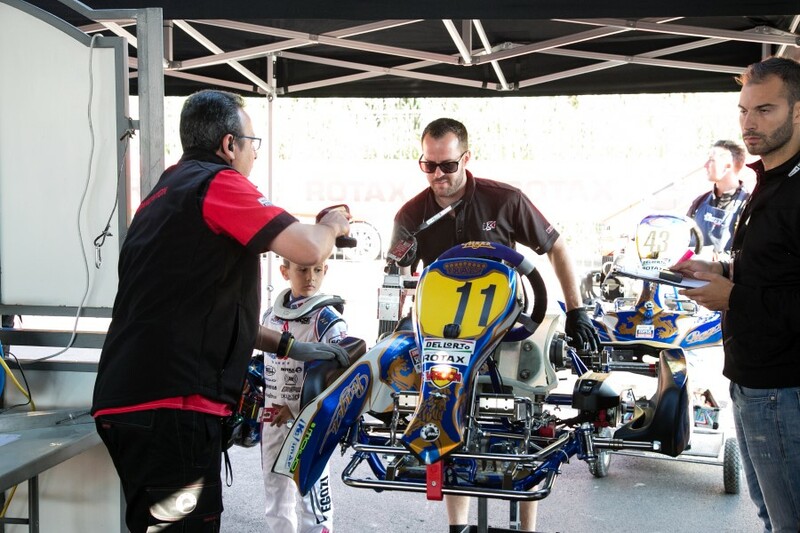 The Hungarian and former Grand Finals World Champion Ferenc Kancsar proved that he did not forget how to race and stay at the top of the time sheets. 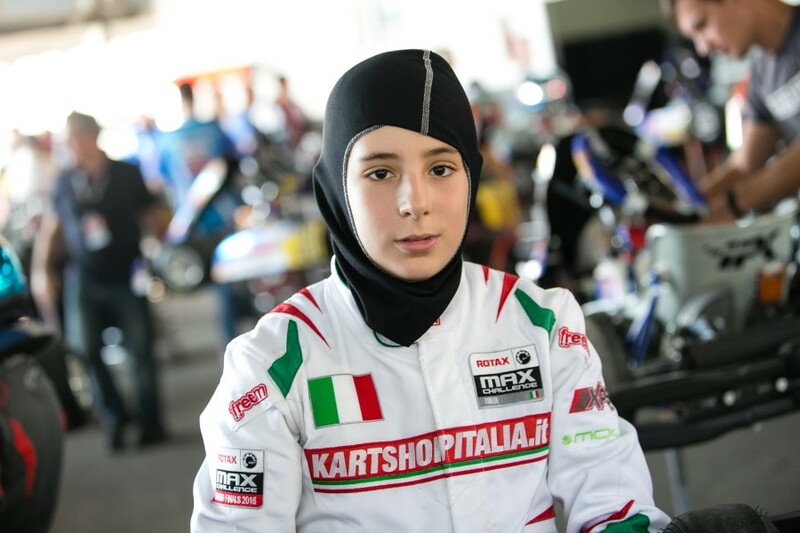 He won the first heat 1 DD2 race, with almost a 2-tenth gap over the Italian Cosimo Durante. The pole sitter, Bielecki, finished in fourth. This race saw intensive battles throughout the entire pack. However, all eyes were on the leading 3 drivers who fairly passed each other lap after lap. Ultimately, it was Christina Sorensen of Denmark who took the win, leading by more than 1.9 seconds over the Austrian Constantin Schoell, who held a fantastic battle with Sorensen. Nevertheless, it was also the South African lady Fabienne Lanz who caught everyone’s attention: she finished in fourth place, roughly 4.6 seconds behind Sorensen.